Fulton Steam Boiler has been a proven leader in the manufacture of both steam boilers and their accessories for decades. Their products cover every aspect of a full steam system and are ideal for a wide range of commercial applications. ATI can facilitate the purchase of all Fulton products and assist you in selecting the piece of boiler ancillary equipment that will optimally enhance your overall system. Fulton's team of engineers can also design a full, compact skid system that includes all piping, heat-transfer devices, and boiler accessories. Fulton can customize the unit to your specific application. 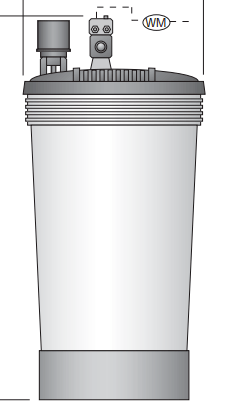 Fulton's blow-off separators are have an ASME 75 PSIG design and are national board registered. They offer the durability of heavy-gauge carbon steel and come with a spinning-action baffle plate. They are high on convenience of installation and use as well, having a built-in thermometer, a three by four hand hole, and ready-made connections for inlets, outlets, vents, drains, gauges, and more. 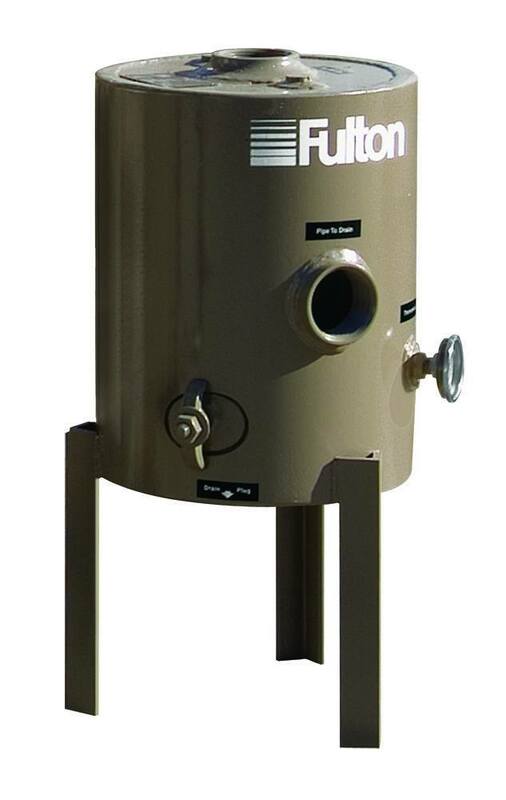 Fulton blow-off tanks are vertically oriented to save space, are national board registered with an ASME 100 PSIG design, and come with a tangential inlet and accompanying strike plate. They have both hand holes and man ways with sizes, and sight glass and pressure gauge assembly is included with purchase. 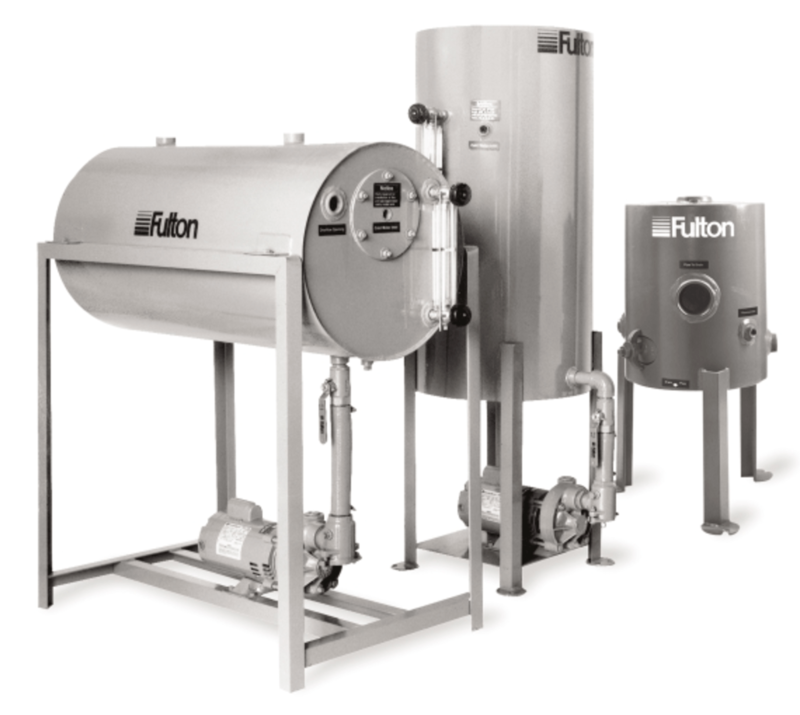 Fulton's feedwater and condensate return systems give you the option of vertical/horizontal set-up and come with all necessary connections for easy installation. Features include: internal float valve/switch, cold water solenoid valve, motorized boiler feed pump, tank thermometer, sight glass/valves, suction pipes, isolation valves, and highly flexible vibration isolator. Fulton also manufactures water softeners, carbon filters, chemical treatment systems, and ph neutralizer kits to extend the life of your equipment via optimal water conditioning. Fulton water softeners use twin-tank alternation to allow for uninterrupted operation. 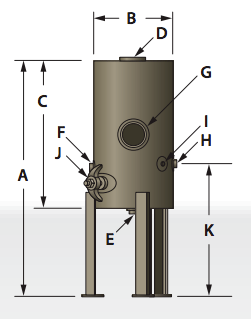 They feature high-capacity polystyrene resin, no-seam mineral tanks made of fiberglass instead of metal, and a motorized control valve with adjustable regeneration cycles. Fulton puts you in control and allows for high automation by including digital control, LCD display screen, meter-initiated regeneration, pre-timed brine refill, and a self-adjusting backwash controller.